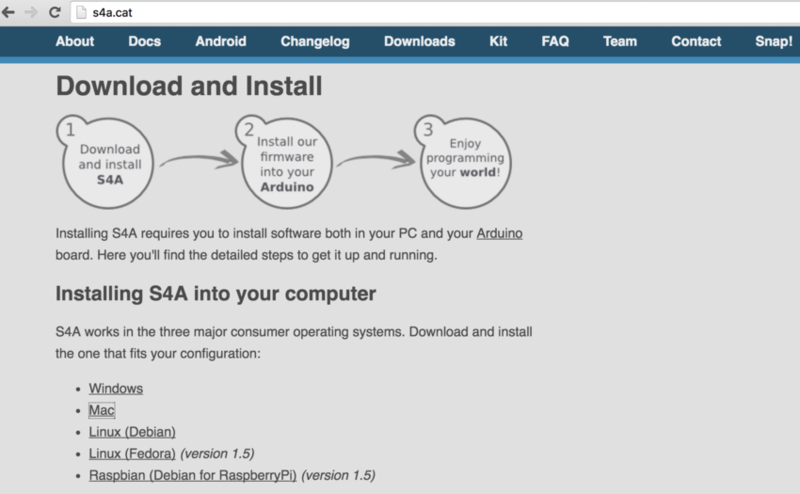 S4A is a Scratch modification that allows for simple programming of the Arduino open source hardware platform. 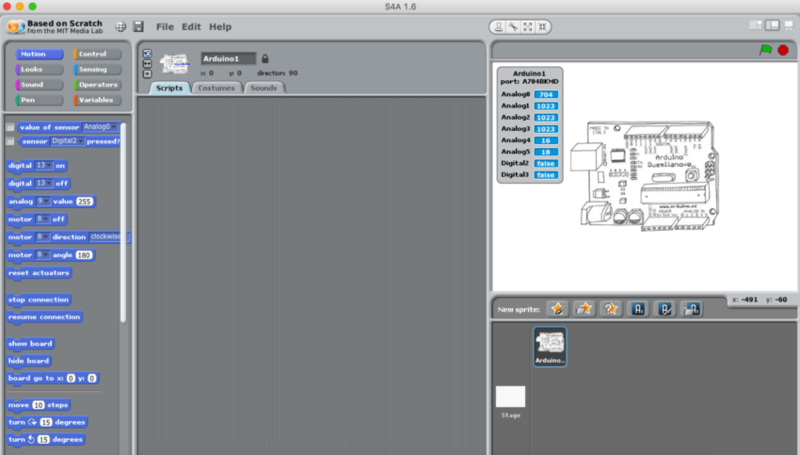 It provides new blocks for managing sensors and actuators connected to Arduino. 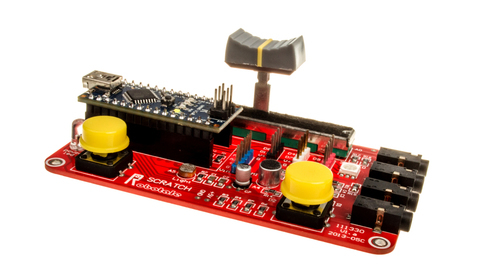 There is also a sensors report board similar to the PicoBoard one. The main aim of the project is attracting people to the programming world. 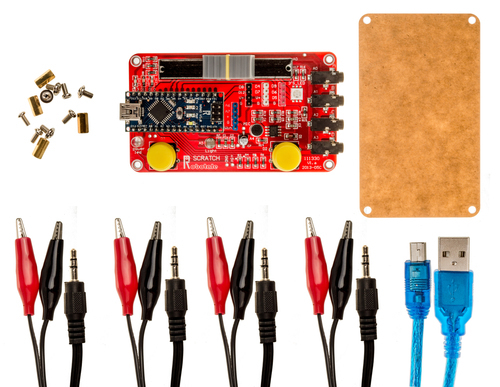 The goal is also to provide a high level interface to Arduino programmers with functionalities such as interacting with a set of boards through user events. 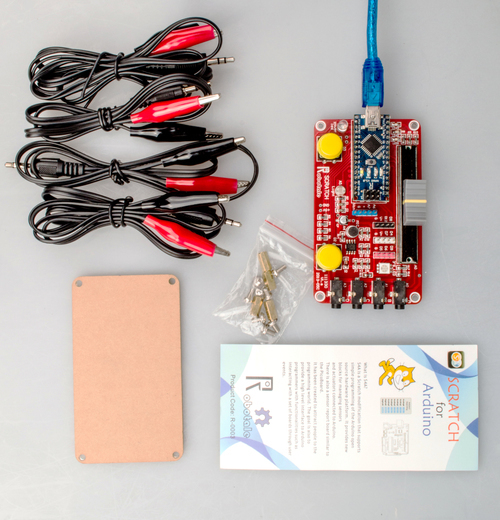 This S4A kit includes an Arduino Nano compatible with a piccoboard base board that allows users to program with S4A.